PRESS RELEASE: Serious about your tracks? Visit the Analogue to Digital music show in Exeter and be inspired with Yamaha's latest gear in the hands of pro producers. 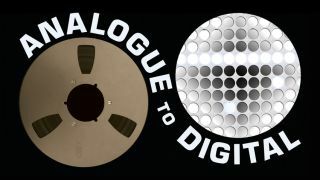 The popular Analogue to Digital music production show, now in its 5th year, returns to the Phoenix in the historic city of Exeter on Saturday 18th May. As usual Yamaha will be taking centre stage with a wide range of creative activities, complemented by mixing sessions to help visitors learn more about all aspects of music production, using the very latest equipment, instruments and software. Make sure you visit Yamaha's dedicated 'Producer Zone', which will provide a high-level, entertaining and informative experience fronted by leading producer erb N dub who will be producing drum 'n' bass/dubstep tracks with Cubase software throughout the show. Yamaha are even inviting visitors to bring in their own mixed track to replay on the exceptional new HS Studio Monitors, which have set the home studio market alight with their blend of budget-friendly prices and superb sound. Come along and discover the full music production potential of Yamaha's MOX and MX synthesizers and DTX multi-pad drum system in the hands of the experts. All visitors to the Producer Zone can also enter a special Yamaha promotion to win a pair of new HS monitors. The show boasts a very impressive guest speaker lineup including Hossam Ramzy, percussionsist with Peter Gabriel and Led Zeppelin, Richard Barbieri of Porcupine Tree and Big Country's Tony Butler. Paul Gray from the Musicians Union will host a session discussing everything you need to know about playing live, including copyright, publishing and contracts.